The concrete weight sitting on the bottom of the pond anchors a 1/4″ brass rod that sticks up above the water level. 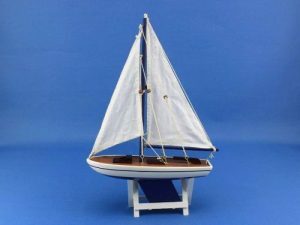 A hole is drilled in the center of the boat and the boat is placed on the rod. 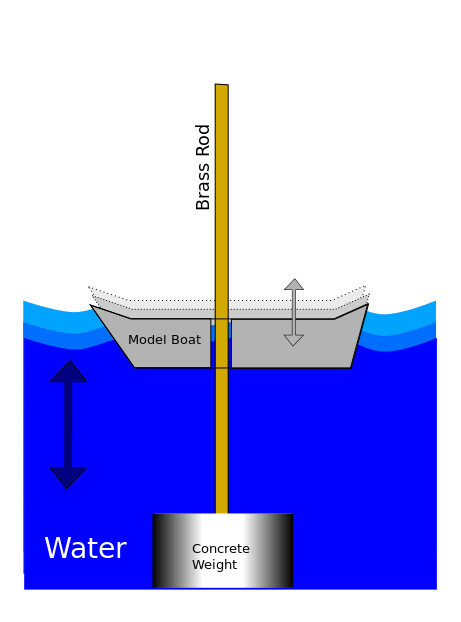 The rod appears as a mast, but allows the boat to rise and fall with the water level, but prevents it from wandering all over the pond.